Despite increased functionality and higher resolutions, CCTV is still not achieving the one thing its proponents have always claimed that it can – improve the security of the premises where it is installed. I know it is a big statement and there are always exceptions to the rule, but crime still occurs on premises where CCTV is being used. It happens regularly and from where I sit, things are not going to change anytime soon. CCTV is becoming everything except a security tool. All sorts of applications and functionalities are being developed that might be valuable to a business, but they do not necessarily improve security. These functions include things like finding a car park in a shopping centre, counting how many people come through a door or showing retailers where people congregate in their stores. The most useful aspect of CCTV from a security perspective has been video motion detection (VMD), which has been around in various forms for a decade or more. VMD is widely available now and easier to set up than ever, but it remains evolutionary rather than revolutionary. License plate recognition (LPR) is another of the more useful CCTV developments of recent years. It is achieving good results in major shopping centres, but the big winners of this technology are police and local councils for law enforcement and compliance purposes. Facial recognition is more myth than anything at this stage. 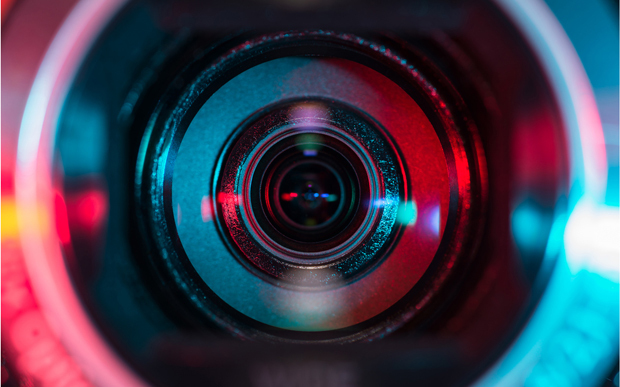 The systems that do work are incredibly expensive, involve significant software maintenance agreements and require precision with camera placement and the environment where it is installed to achieve respectable results. Facial recognition is miles off being a mainstream security technology, so the civil libertarians of the world have nothing to fear from this technology yet. And while the theory behind facial recognition is sound, for the system to work the people you want to detect with it must already be in the local database. As a tool for preventing serious incidents such as terrorist attacks, it is simply not practical. So where is CCTV heading? Integration is key to CCTV today. And these in part, can aid in keeping property safe and secure. We just can’t rely on them as our primary means of defense. Security measures aim to keep honest people honest. ASIS international states that, “Theft, much like fire, occurs when three elements are present: motive, desire and opportunity.” Starve people of the opportunity and desire quickly diminishes. However, CCTV is not proving to be an opportunity reducing measure. There are always exceptions, where CCTV is a highly-valued crime fighting tool. But even the very best systems are mostly used for evidentiary purposes. During a recent audit, we reviewed a CCTV system that allowed police to clear 91 per cent of incidents associated with this property. Due to the quality of this CCTV system, crime has decreased because the main offenders have been jailed. That is an outstanding result in anyone’s language. However, even though CCTV was present the incidents, which were of a quite serious nature, were still occurring. What the client needed to focus on was preventing, wherever possible, the incidents happening in the first place. This is not achieved by installing CCTV because it is mostly useful after an incident has occurred. The property in question needed to be reinforced so the method of entry was no longer available to the intruders. If you can stop them from entering the property in the first instance, the issue of loss and disruption to the business goes away. It might seem contradictory or hypocritical for a security consulting firm to advise against a type of technology when a large part of our work involves CCTV. Right now, we have several projects that are entirely related to the deployment of large scale CCTV systems. In these projects, the use and purpose of the CCTV systems is absolutely understood by our clients. They know exactly what it will achieve for them in their environments. The CCTV systems are not being used as security systems or as a measure to prevent intrusion or other forms of loss. They are being used as surveillance systems that will allow our clients to track and monitor people who have access to their property about 18 hours a day. And really, that is the perfect application for CCTV. The system will be actively monitored and local security can respond almost immediately as incidents and other issues unfold. They are being used as surveillance systems that will allow our clients to track and monitor people who have access to their property about 18 hours a day. And really, that is the perfect application for CCTV. In the end, my message is not to dismiss CCTV as an option, but I believe it is foolhardy to use it as a primary security measure for the typical commercial or industrial property.